Artwork by Sodaku on Furaffinity. My OCs in more formal clothing. 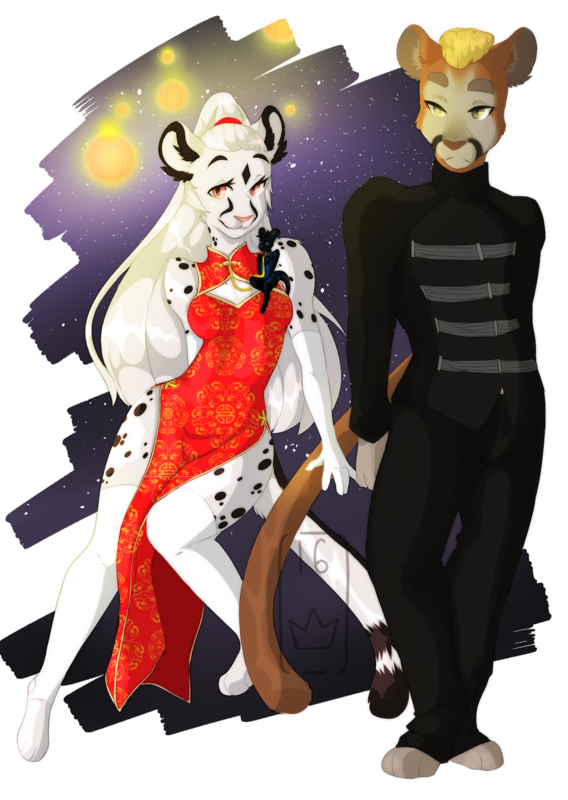 Diamond and Oreo wearing modern qipaos, while Nero wears a tangzhuang. I need to put Oreo in feminine clothing more often.